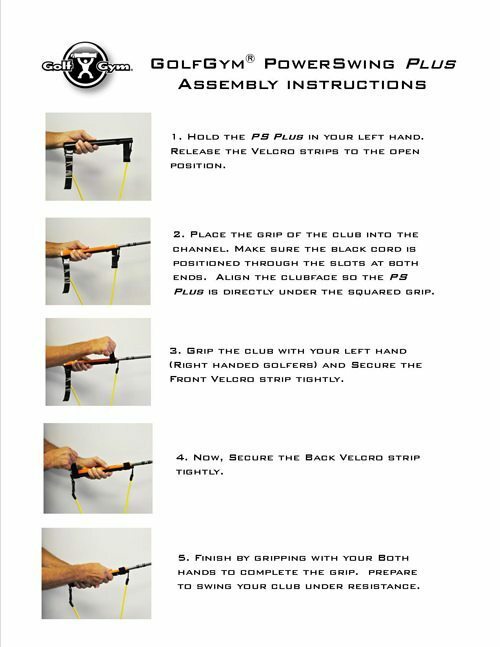 The GolfGym PowerSWING Plus easily attaches to any standard golf grip. 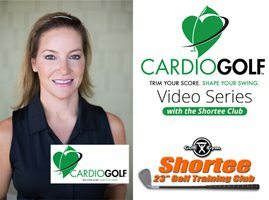 Teaches the “Feel” of Your Golf Swing. Eliminates “Casting” and “Over the Top”. Add Power and Distance. Helps You Practice More Efficiently. Receive Immediate Feedback. Check Out The Powerful Testimonials Below! *The product will be shipped without Retail Packaging and only one product per envelope. 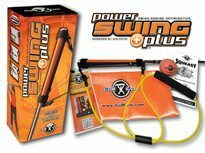 “I really like the new PowerSwing Plus Trainer. 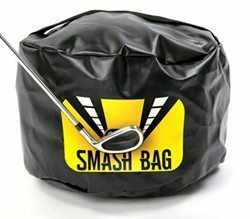 Easy to use, and putting it on the student’s club makes for an easy transition from drill to actual swing”. “Great new videos! I have been using the PowerSwing Plus for 2 weeks and played this weekend. Carded my first round in the 70’s in 20 months, a 75. And that’s with a double bogey on the last hole, the result of a fat 9 iron and a fried egg sand trap lie. But more interesting was the comment from my long time playing partner of 45 years. He said that it was my best driving round in the last 3 years since I had major back surgery. He was most impressed with my distance. We are both 70 years old and have lost considerable distance over the last 5 years due to back and hip surgeries for me and a shoulder surgery for him. I was 30-40 yards longer than him when I got my sequencing right. PS + is a winner and I plan to continue practicing with it so that I can shoot my age someday soon. 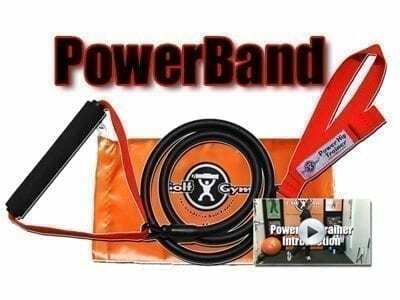 “In March, 2014, Ken at GolfGym, Stuart, Florida agreed to provide me with an advance issuance of a training aid known as the GolfGym PowerSwing Plus. My issue was I had a slight over the top swing which resulted in pulls to the left of the green and fairways. About 25 years ago I read the book by Ben Hogan called Five Lessons: The Modern Fundamentals of Golf. Mr Hogan spoke of dropping your hands into the hitting area. I thought I knew what Mr Hogan was talking about only to find out that I had not put this concept into practice. This training device has now clearly demonstrated to me what is meant by dropping your hands into the hitting area. The result to this point although early in the golf season in the northeast, I have begun to hit the ball as solidly as I ever had in my 50 years of golf. I am now hitting the golf ball much more consistently in play with much more power. I no longer have the fear of snap hooking shots that have been my problem for years. This training device puts your swing on the proper plane which allows the club face to come through the ball square to the target line. My last 3 scores speak for themselves. I ended the 2013 golf season with an 11 handicap. To date this golf season my last 3 scores under tournament conditions are 79, 78 and 74. 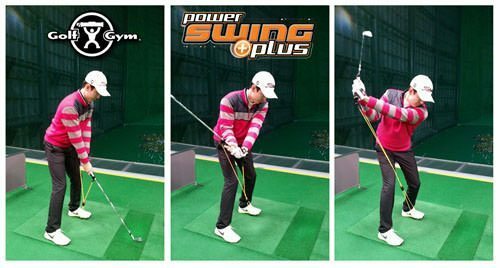 “I have been using the GolfGym PowerSwing Plus for about 10 days now and I am seeing results right away. One of the great things is that the unit helps to pull me into the slot. I have been casting for over 30 years and the PowerSwing Plus won’t allow me to cast. It’s amazing. It puts me in the right position at the top and after a few swings, I have a strong follow through, not sloppy like it used to be. 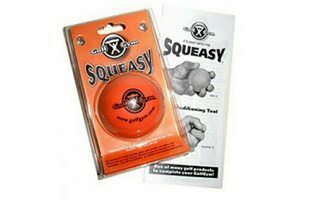 I think it is a wonderful tool for any golfer who struggles with casting or over the top.